DJ Spinall signs international record deal – Royal Times of Nigeria. 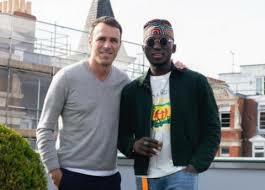 Talented Nigerian Disc Jokey, Desmond Sodamola also known as DJ Spinall has signed a major international record deal with a music label, Atlantic Record in the United Kingdom. The multi-award-winning DJ took to his instagram handle to announce the deal. 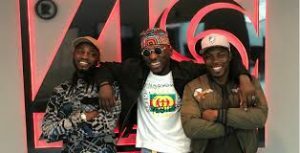 DJ Spinall, who is the first African DJ to tour the United States, did not provide specific information on the nature of the contract with the UK-based record company. The former Mavin Records DJ, who is a graduate of Electrical Electronics Engineering from the Olabisi Onabanjo University, Ago Iwoye in Ogun State, has three albums to his name.